What makes Hellas different is our on the ground principles. 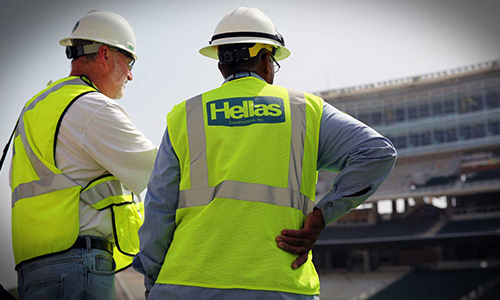 Hellas Construction is the leader when it comes to sports construction. 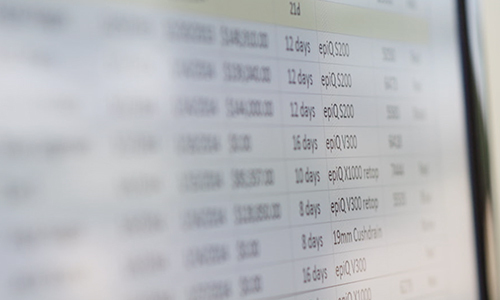 The best projects result from a plan that involves lots of knowledge and thorough execution. 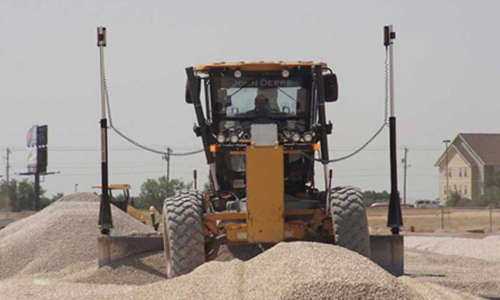 We own about 200 pieces of construction equipment and employ experienced operators who get the job done right! 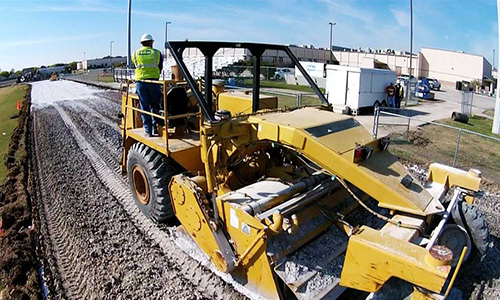 Hellas owns the heavy machinery to break ground and move dirt no matter how big your project is. We deploy 24 construction crews year-round and have the necessary resources to meet the most demanding construction schedules. Every project has a full time site superintendent who will oversee all activities from ground breaking through closeout. We operate with total transparency and collaboration and ensure our clients have complete access during all stages of construction. 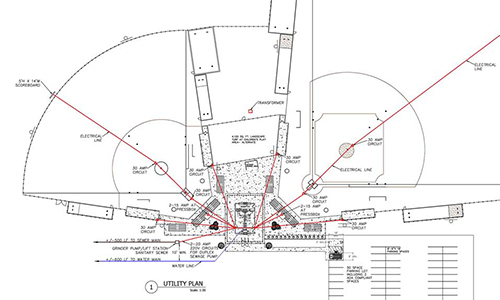 Based on your project needs, whether you are building a new track, field, or tennis court, we will determine the site location and orientation to select the best area for your new project. Before we break ground, we ensure your project meets soil and environmental requirements. 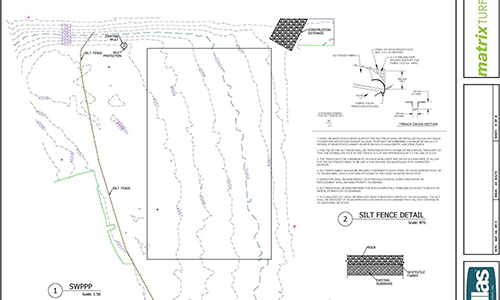 Federal stormwater regulations are continuously evolving. 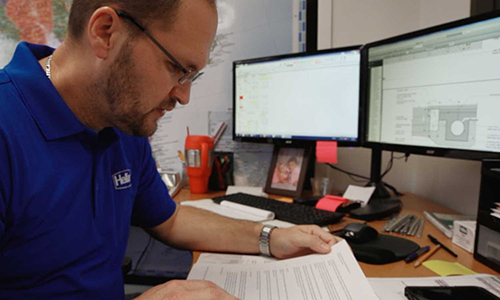 Hellas’ expertise in stormwater management will keep our clients protected and ensure we are environmentally responsible and compliant with rules set by the Environmental Protection Agency (EPA). 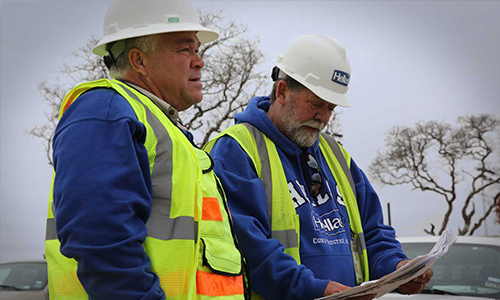 Hellas has a group of trusted engineers to perform surveys and geotechnical investigations prior to ground breaking in order to truly understand your existing site. Survey & Geotechnical Investigation research at Hellas’ Headquarters. Our in-house design team along with our partners will apply their expertise to create a facility that will exceed your expectations. Each project has a full set of plans developed by our project managers, all under the oversight of a licensed engineer as part of our turn-key solution. We understand you may have existing structures, turf, or paved asphalt that need to be removed prior to installing your new field or facility. By rough grading the area and uncovering everything underneath including pipes, electric wiring, irrigation, etc. 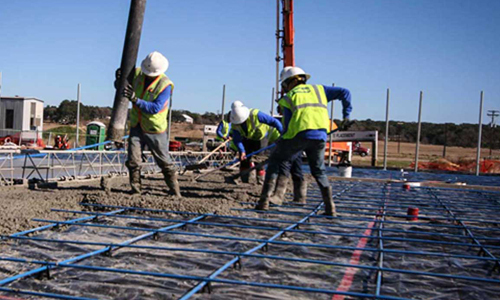 we ensure a solid sub base for your project. Hellas uses only the best materials and resources for both above ground and underground utilities. 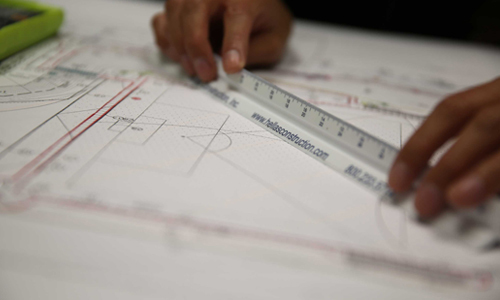 Another important element of your project is drainage. 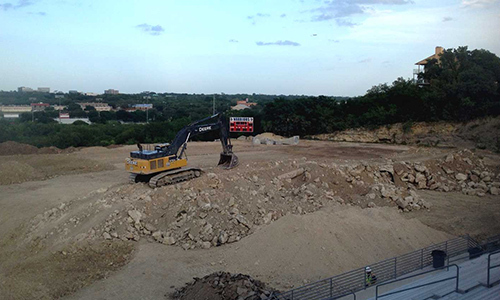 Hellas and our experienced construction crews will ensure high quality drainage is installed and connected to a collection system surrounding the field. Hellas Construction will ensure the soil properties are ideal to improve strength and durability before installing your sports surface. From field events to retaining walls, curbs, and trench drains to ADA compliant sidewalks and parking lots, Hellas does it all! 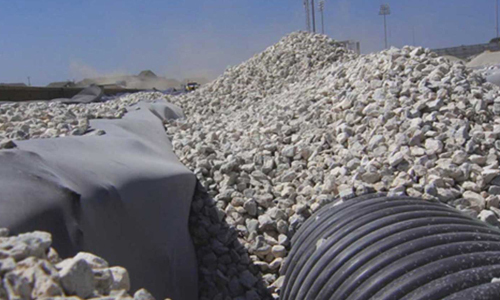 Hellas’ goal is to create the perfect subbase for every project. Laser grading will ensure a proper rain run off and allow the field to dry off quickly for maximized use. 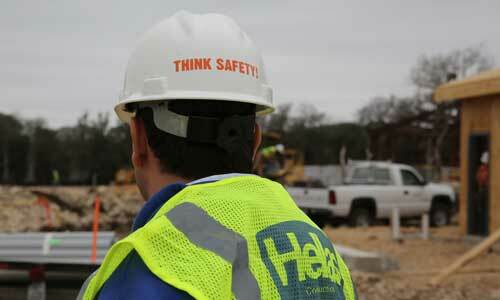 Hellas Construction understands we are on your territory, often times on occupied facilities. Hellas never compromises safety. Our full time safety director ensures the highest safety standards are met at all times.